Discussion in 'Reviews, Tests, & Shootouts' started by Amin Sabet, May 1, 2011. In some camera forums (especially DPReview), it is commonly said that dynamic range is the Achilles' heel of Micro 4/3 sensor technology. While the sensors in our Micro 4/3 cameras are competitive in resolution, and to an extent high ISO signal relative to noise, they are said to lag behind APS-C competitors when it comes to dynamic range. The first thing to clarify is that not all APS-C sensors are alike. According to DxOMark, the GH2 (4/3) sensor has 11.3 stops of DR at base ISO while the Canon 60D (APS-C) sensor has 11.5 stops, and the Pentax K5 (APS-C) sensor has 14.1 stops. If dynamic range is a relative defiiciency for Micro 4/3, it is only the case relative to specific, recent APS-C models. Dynamic range is the ratio between the highest and the lowest gray luminance a sensor can capture. The highest gray luminance value is easily computed as the minimum luminance required to saturate the sensor; the lowest gray luminance is the gray luminance for which the SNR is larger than 0. In simple, practical terms, a camera sensor with high dynamic range (DR) is able to simultaneously capture detail within two areas of the frame which vary greatly in brightness from one another. One critical thing to keep in mind when considering DR is that it is always possible to preserve highlights if one is willing to accept "blocked up" shadows. For example, in the image above, I could have used a much faster shutter speed to preserve the highlight information. People often comment that "X camera blows the highlights"; however in reality, people blow highlights, while cameras simply follow orders. The issue in a shot such as the one above is that preserving highlight information would have meant leaving the subject deep in shadow, and to get him to the desired level of brightness during processing, I would have had to substantially "push" the shadows leading to increased noise and decreased color fidelity in those regions compared to what I ended up with above. The difference between a high DR sensor and a low DR sensor is that the files from the former can be "pushed" hard during processing while maintaining clean tones in the recovered shadows (due to low sensor read noise). Do Micro 4/3 camera sensors really have less DR than class-leading APS-C sensors? Yes, they do. The more important question is "Does that matter, and if so how much?" I think that most of the chatter which goes on regarding Micro 4/3 and DR is ill-informed, based more on charts and measurement than on real world results. One simple reason for this is that charts are all most people have to go on. None of the major review sites provide real comparative examples of DR. At best, we get scientific data from properly performed testing (DxOMark), while more commonly we get scientific data from less well conducted testing. So why don't we get real, comparative examples? I'm not sure, but I think at least part of the reason is that such comparisons are difficult to do and present in a controlled manner. I will attempt to present one for you here, and you will see that despite my best efforts (given limited time and resources), there are some methodological flaws. Test details: There was not a cloud in the sky and both images were taken within minutes of one another, so lighting conditions were fixed (critical for meaningful DR testing). Each camera was used at its respective base ISO. I attempted to match framing, but the K5 ended up slightly tighter (a minor advantage for the Pentax in terms of effects on outcome). I also stopped down the K5 lens 2/3 stop relative to the Panasonic, but the latter still had more DOF (a minor advantage for the Panasonic, although the crops presented are within the DOF for both). As you can see, the highlights are slightly more recoverable in this particular GH2 file. Again, it is important to understand that this difference is a function of the exposure parameters (shutter speed and aperture) chosen by me and not a function of sensor differences! The presence of absence of blown highlights, considered in isolation, tells you nothing about sensor DR. However, understanding that the chosen exposures have nearly* matched highlight range, we can now look at the shadow performance. *By allowing the Pentax to clip slightly more in the highlights, I have given it a small advantage in the shadow region. DR testing ain't easy! 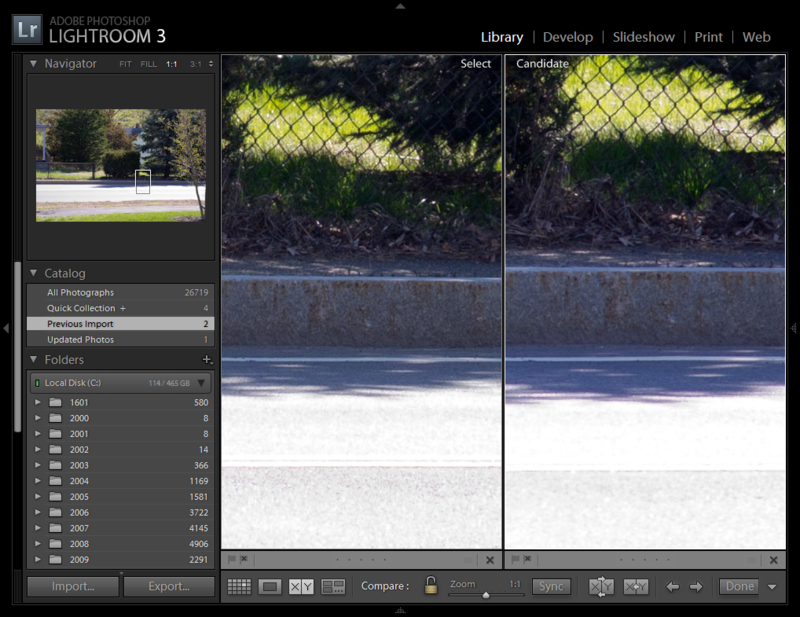 Below is the resized entire GH2 frame after "Auto tone" in Lightroom. Rollover the image to see the corresponding K5 frame. [*][B]The K5 has demonstrably more DR, but the difference is subtle even at 50% pixel view on screen. [/B] In my experience, 50% view on screen tells me all I need to know about how large prints will look. 100% view is not all that relevant. [*][B]The difference in DR is apparent only after substantial pushing of the shadows. [/B] This kind of shadow pushing is not a common event in my postprocessing. With a shot such as the example shown in this article, I tend to leave the shadows dark, similar to the displayed shadow crops [B]prior [/B]to rollover. In that case, the difference in DR is simply not apparent. In summary, the widely discussed disparity between Micro 4/3 DR and APS-C DR (represented here by the best of the APS-C breed) is of limited field relevance. If DR is the Achilles' heel of Micro 4/3, I'd say we're in pretty good shape. One more comment: A simple way to increase the DR performance of your camera is by stitching (not talking HDR here, just simple pano stitching). As you can see from the pushed shadow crops above, the GH2 captures shadow detail, but it is more obscured by noise than the K5 shadow detail is. Any time you downsize an image, the apparent detail relative to noise improves. By stitching together multiple captures to create a larger image to begin with, you can effectively downsize prior to printing, so the shadow detail in the final output is greatly enhanced. People often comment that "X camera blows the highlights"; however in reality, people blow highlights, while cameras simply follow orders. Interesting, as the K-5 is on my wanted list. Thx for the doing this, this kind of stuff is always more useful to me than simple test charts. On PentaxForums I've been asking what the real-world benefits of the the K-5s DR is, and most point to added flexibility in post. What's been less equivocal is how much better the K-5's IQ is vs. something like the Pentax K-x, in everyday use at moderate ISOs. Some point to some modest benefits, others not so much. This reminds me of when I upgraded from a Nikon D70 to a five-years newer Pentax K20d. Under good lighting the Nikon's IQ was as good as the much newer Pentax and I'd be hard pressed to pick the right image in a double-blind test. We expect each new generation of camera to blow away the previous generation, and the larger sensors to trounce the smaller ones. But at the end of the day, the media and folks on the Internet are conditioned to make much ado about nothing - or at least very small things. Otherwise, what would there be to write/post/talk/argue about? I guess, at the end of the day, that the benefits are at the edges of the envelope - low light, extreme post, etc. How often you shoot there - or how critical it is to get good results in those conditions - dictates how important the incremental advantage of the K-5 is. I find myself at the edge of the envelope often enough to need the K-5. I've just got to sell enough photos to justify it! Pity, because DxO does enhance dynamic range (they call it something like virtual HDR) by advising to delibarately underexpose (Raw) shots, then their software brings up the shadows without "noise clumping". You know, even the WORD "dynamic" in this context is subjective. I really appreciate the work you've done, I don't have that kind of patience. I just like making images, damn the science. If a camera doesn't give me what I saw when I pushed the shutter release, it is gone pretty darn quick. My Cambo always did, as did my RB67, Leica M6, and D300. Those lasted the longest with me. So far the E-PL2 seems up to it as well (given that my demands upon my camera have changed). The worst for me was the EOS system (EOS-1n). Felt great, awesome tech, but never quite matched what I "saw", and a Nikon D100 (lousy flash photos). I rarely find myself on that edge, so my K5 is probably going to find itself in the classifieds pretty soon. It will be interesting to see how long it takes Panasonic to catch up to this latest generation of Sony sensor technology. As you are no doubt aware, the difference between APS-C and 4/3 sensor size isn't all that much, and the predicted DR disparity based on sensor size would be less than half a stop. Thanks for taking the time to run this comparison. There is one thing I would like to put out there for consideration. It is not scientific at all, but a confirmed and re-confirmed impression for me. When I would consider images from my 5D and my GF1 in which DR is important (scenes not dissimilar to that used in your test) I could notice a very real difference. Now, I do know I am talking FF frame here, as opposed to APS-C, but when I have downloaded K5 images I have seen the same thing. What I am seeing, and not at 100%, is photographs that in their totality look, to my eye, to be richer, finer, more detailed and with more depth. I find this particularly noticeable when it comes to printing these more challenging (from a DR perspective) photographs. So, while it is clear to me that my M4/3 sensor is very capable, and in fact astounds me at times, I feel that the sensors with better measurable DR do have something solid in their favour. My sense is that what I am seeing is the cumulative impact of the increased DR. In other words, yes, at 50% the difference is noticeable but does not appear deeply significant. But that small difference, taken across the frame, perhaps adds up to an overall impact. For me, this is the real test. I too do read those charts and view the tests etc, but in the end I rely on my eye. There is no doubt in my mind that with my recently sold, and in camera terms very old, 5D, I could see a solid difference in the images. There are many factors here, including the character of the sensor and of course lens differences. Technically speaking, and when viewing images online, M4/3 stands up very well. In print too I have been very pleased with some of the results. But I do feel that the difference exists, and is significant. There is another way of considering this too. If my skills are good I can really take advantage of greater DR, or of course I can get away with more. With M4/3 I feel that in some circumstances I have to consider exposure more deeply and stretch my skills - no bad thing. So I in no way mean to disagree or argue with your conclusions. Indeed M4/3 is really quite something given the sensor size. Of course, there are compromises with everything, and since my GF1 arrived my much loved 5D spent a lot of time at home. Put differently, I reached for a small bag containing a GF1, a 20, a 14-45 and a 40 legacy way more than the same bag with a 5D and 50. 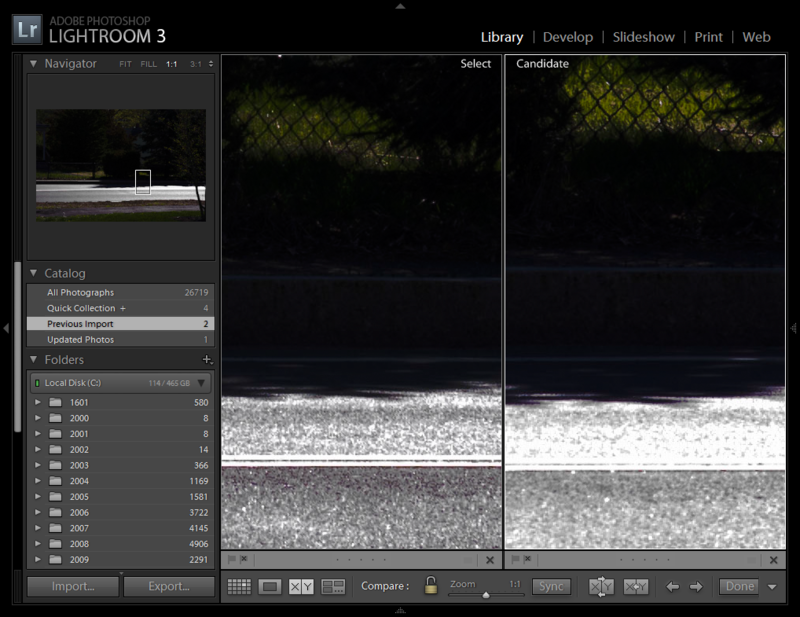 This what I see too, on-screen when comparing K5 images with GH2. Something about the K5 shots that makes them look 'fuller' and in some ways more 'open', like they have more room to breathe. I am trying to decide if it is something 'simple' like a difference in WB but I don't think so. Like Amin, I have both cameras. Unlike Amin, I think it will be GH2 that heads for the 'classifieds'! Given that I tend to take mostly landscapes, I think the K5 will serve me better. I am still not sure and I haven't printed any yet so maybe I should do that before deciding. And I have been a fairly happy G1 user for the past 3 years and also think MFT is great. Interesting you should mention landscapes: it was for this purpose (and some portraits) that I purchased my 5D. My work circumstances have changed and I just cannot get to landscape photography as much as I would like. If I could, the 5D would still be with me. Do we need this much DR? I went to an exhibition of wildlife photography in 2008, where I noted that many of the photographs were taken with 12MP cameras, such as the Canon 450D. If we look at its DxO mark scores, we see it is well behind the Pentax K5 and other more recent models (e.g. dynamic range of 10.8 EV for the Canon and 14.1 EV for the Pentax).Thus a camera that was apparently capable of excellent results a few years ago, now looks poor. Has it become necessary all of a sudden to have 14 stops of DR? I would argue that our expectations are changing rapidly as the technology advances. Who is to say that we won't start looking on 14 stops as poor in a few years? When I am taking photographs with my Pana G2, in difficult lighting conditions with the G2, I will have a look at the histogram, make adjustments to the exposure, and shoot RAW to get best results. However, I don't carry around another digital camera so that I can take photos with a larger sensor. Carrying around another larger camera all the time, it seems to me, defeats the object of having the m43 system. At the same time, I have also seen the different output from cameras, including my own. That difference can be tangible, and for some subjects and final output media, it can be truly significant. What I appreciate about Amin's original post is that it is important to be aware of the differences, such as they are, and decide if they are important to your end objective. Will they different levels of DR make an impact on what you have in mind? Only you can decide. Of course, there are many other factors to take into account other than DR.
At this stage of development, I can make out the difference in final output. Sometimes it matters, sometimes it doesn't. "t is commonly said that dynamic range is the Achilles' heel of Micro 4/3 sensor technology." In the meantime, thanks for publishing articles like this and the depth of field one that help us make the most of the system! There are always strengths and weaknesses to any system. I would say the real point is deciding if they matter to you (or perhaps matter at all) and spend more time making photographs. Today there is a DR discussion on the M4/3 section of the dpreview forum. That's not a place I go often, and the discussion itself seems senseless to me. If M4/3 does not cut it for you that's fine. Ironically to me, one of the posters linked to his Flickr account, which showed a range of photos taken with M4/3 that reach a standard I would love to reach. The photographs were doing the talking. Another great point. All the Micro 4/3 cameras meet my current high standards for image quality. I can't remember the last time I felt like sensor image quality was an issue with a photo that I otherwise considered to be good. All the Micro 4/3 cameras meet my current high standards for image quality. I can't remember the last time I felt like sensor image quality was an issue with a photo that I otherwise considered to be good. out of curiosity, what is the DR of film? There was an interesting article on DR in "outdoor photographer" magazine that proposed metering the bright and dark areas, and then setting your exposure halfway in between.